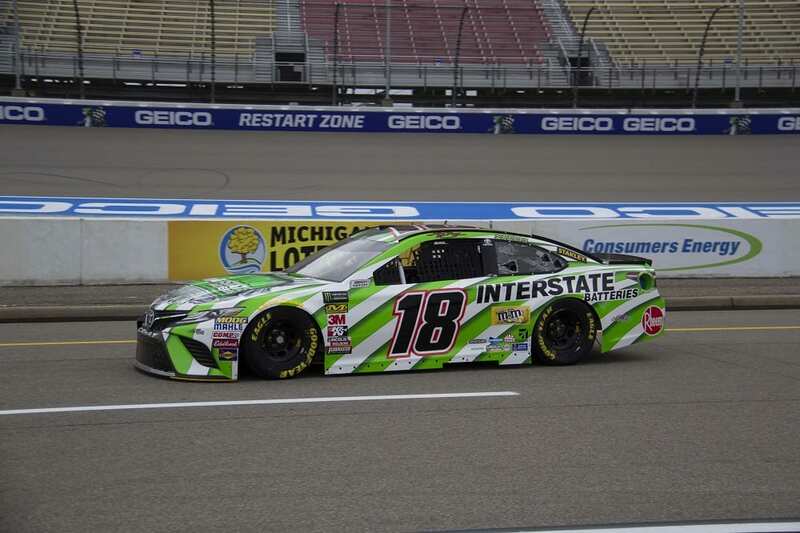 A total of 15 NASCAR Cup drivers topped 200 mph in practice today at Michigan International Speedway. With Denny Hamlin(11) posting the top speed of 202.230. Blue Oval drivers took 7 of the fastest laps around the 2-mile track. 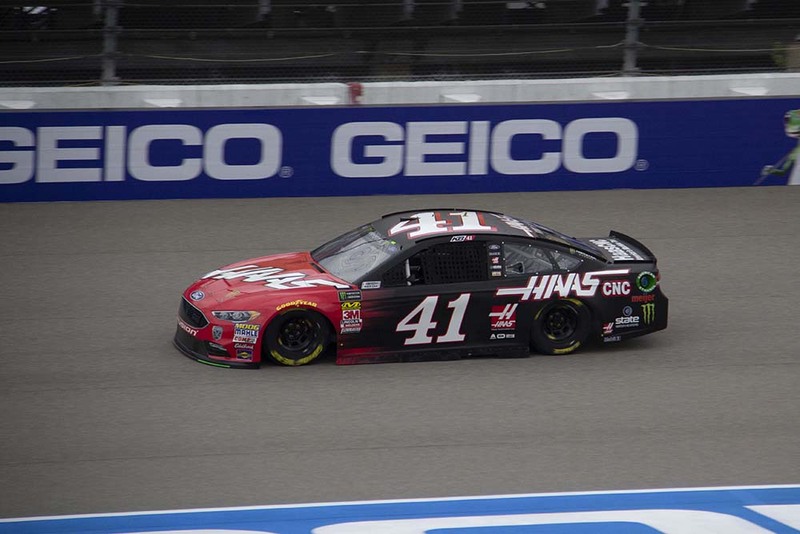 Kurt Busch(41) ran 2nd fastest at 201.901 in his Stewart-Haas Racing Ford Fusion. 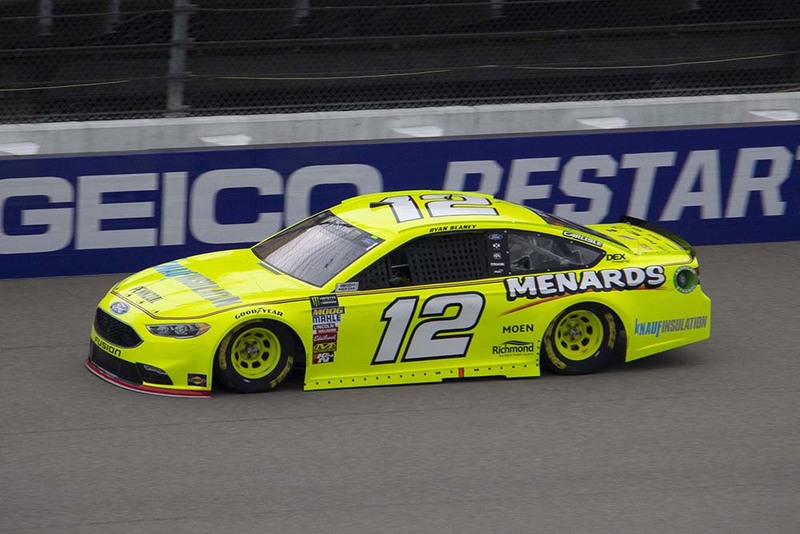 Ryan Blaney(12), Joey Logano(22), Clint Bowyer(14), Paul Menard(21), Kevin Harvick(4), and Brad Keselowski(2) were the other Ford drivers over 200 mph. Monster Energy NASCAR Cup Series qualifying is scheduled for today at 5 pm. Most drivers drove 5 to 7 laps in qualifying mode during practice preparing for the 3 round evening session. Track position is so important at Michigan because of the difficulty in making passes. A good starting position for Sunday’s race is critical for some teams. For most of the day at MIS, the overcast skies kept temperatures down in the comfortable range. Late afternoon and the sun burnt through the clouds, the track heated up. It will be interesting to see if speeds drop with the increase in track temperature. 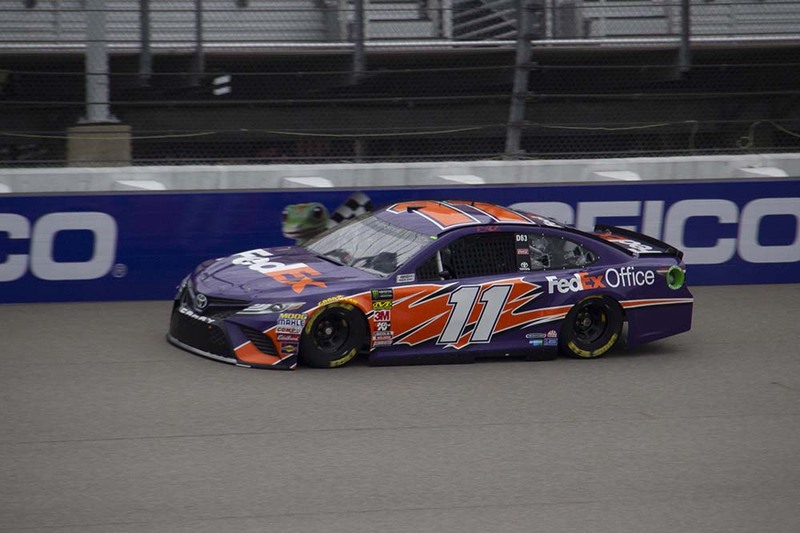 Just as he did in practice Hamlin posted the fastest time in Round 1 of qualifying. He ran 201.590, slightly slower than his practice speed. Kurt Busch finished 2nd fastest at 201.207. Only 10 cars exceeded 200 mph on the hot track surface. AJ Allmendinger failed to advance placing 25th. Daniel Suarez hit the wall and was unable to complete a lap. Most of the favorites to contend advanced to the second round. In Round 2, Hamlin stepped it up and improved his speed to 202.224. The “Big 3” also began to assert themselves. Harvick and Kyle Busch(18) moved into 2nd and 3rd. Kurt Busch dropped to 4th and Martin Truex Jr.(78) rounded out the top 5. Notables that failed to advance to the Pole Qualifying round. Ricky Stenhouse Jr.(17) missed by 13/1000’s of a second. Menard will start 14th and Bowyer 16th. Kyle Larson(42), Brad Keselowski(2), and Jimmie Johnson(48) start 17th thru 19th. Chase Elliott(9), last week’s winner, starts 21st. Hamlin wins the pole, the first time ever he swept all 3 rounds of qualifying. Kyle Busch missed by 11/1000’s of a second. 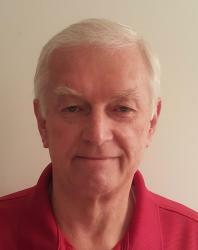 Still, it will be an all Joe Gibbs Racing front row. Harvick qualified 3rd and Byron, Michigan native Erik Jones starts 4th on Sunday. All 12 of the Pole Qualifying driver’s topped 200 mph.